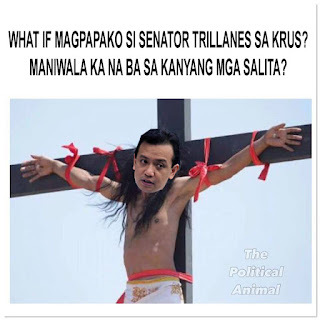 The arrest of Antonio Trillanes IV and his post of "temporary bail" now reached the Chinese government's ears. Chinese Justice Minister Fu Zheng Hua is destined to meet with Filipino Justice Secretary Menardo Guevarra regarding Antonio Trillanes IV as a possible exchange tool for peace talks. Chinese Justice Minister Fu issued an official statement that the Chinese government is willing to surrender its claim to Spratlys in exchange for Trillanes and his friends. 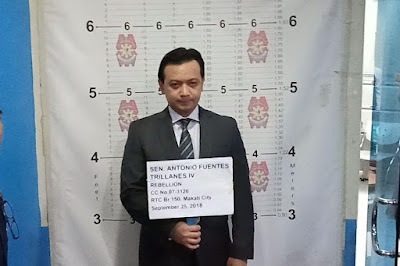 It was uncovered by the Chinese Justice Department that Trillanes himself was guilty of several drug transactions in China. He was in fact helpful in helping Chinese triad members bring their wares all the way from China to the Philippines. Filipino Justice Secretary Guevarra is more than willing to accept the negotiation concerning Trillanes. Philippine President Rodrigo R. Duterte was willing to set in a new arrangement to meet with Chinese Justice Minister Fu regarding Trillanes' fate. President Duterte is now willing to resume peace talks with China.